Latin American and Caribbean countries will grow an average of 2.7% in 2014 due to limited dynamism of the region’s principal economies, according to new projections from ECLAC. 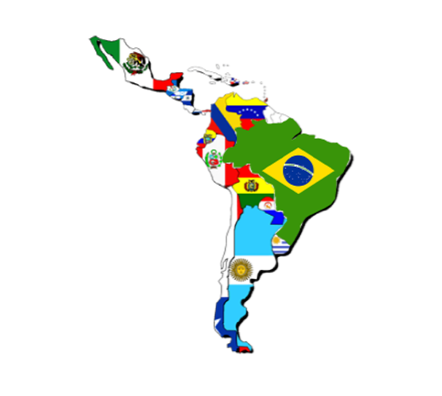 The regional United Nations organization last week released its UpdatedEconomic Overview of Latin America and the Caribbean 2013, which reviews information on the key economic variables of 2013 and presents new growth estimates for the region. The Economic Commission for Latin America and the Caribbean (ECLAC) says that the 2014 regional growth rate would be slightly higher than 2013 (2.5%), but lower than the rate forecast in December (3.2%), due to an external context still marked by uncertainty and lower growth than expected for the region’s larger economies, Brazil and Mexico, which will expand by 2.3% and 3%, respectively. In addition, the economic growth projection was reduced for Argentina (1%), a country that took several steps in early 2014 to counter the imbalances of recent years, causing its economy to contract. Likewise, the impact of Venezuela’s complex economic situation will result in a contraction of -0.5% of that nation’s activity. Nevertheless, highly varied expansion levels are predicted for the region’s countries. According to the Updated Economic Overview, Panama, Bolivia, Peru, Ecuador, Nicaragua and the Dominican Republic will have growth figures equal or higher than 5%, while a significant number of nations will register expansion of between 3% and 5%. In its report, ECLAC says that activity indicators for developed countries -especially the United States, United Kingdom, Korea, Germany and several others from the euro zone- have shown a recovery. There is caution, however, on the situation in China, one of the region’s main trade partners, which set a minimum growth goal of 7% for this year. In addition, the demand for commodities is forecast to remain limited, especially mining and food products, which, combined with currency appreciation in developed countries, would cause commodity prices to drop modestly. The decrease would affect the economies that export these products, like those of South America. ECLAC’s document points out that the United States’ recovery will have a positive impact on the economies of its closest neighbors, especially Mexico and Central America, considering its importance as a trade partner. 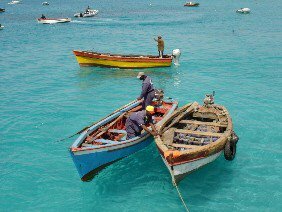 At the same time, the upturn of developed countries will benefit the Caribbean nations, more specialized in service exports, due to better performance by the tourism sector. Saint Kitts and Nevis will grow by 3.1%, Bahamas 2.5%, Saint Vincent and the Grenadines 2.3% and Trinidad and Tobago 2.1%, the same figure projected for the whole group of Caribbean countries. The perspectives for the year show a global scenario with lower liquidity, which entails important challenges in matters of macroeconomic policy and external financing for the Latin America and the Caribbean region, the report expresses. In terms of inflation, while there are no sharp changes expected, a rise in the regional average is forecast due to the indexing changes in Argentina, the moderate rise in several countries’ prices -despite which, maintain inflation between 3% and 6%- and the high indicators shown by Venezuela. This regional increase was already observed during the first two months of 2014, when average accumulated regional inflation over twelve months rose to 7.6% compared to 7.3% last December. In this context of modest regional economic growth, there will not be a meaningful recovery of employment levels. ECLAC emphasizes this could translate into an increase in unemployment rate -which in 2013 registered a new minimum of 6.2%- only if the drop in labor force participation seen last year is reverted. Next Next post: Is James Rickards Right About A Coming Monetary Apocalypse?